Citizen Neo Heights is a premium residential development in the prominent locality of Civil Lines in Allahabad. Developed by one of the leading builders in Allahabad, Citizen Housing, this project offers well-designed and spacious 1BHK, 2BHK and 3BHK apartments in the heart of the city. It offers easy access to all important civic centres and recreational areas around the city. The project provides basic amenities like lifts, 24/7 water supply, 24/7 security, 24/7 power backup, firefighting services, car parking and children play area. Civil Lines is one of the biggest planned neighbourhoods in India and is the central business district of Allahabad. It is one of the prime real estate markets in the city and many top developers have started their projects here. With easy connectivity to the railway station and other parts of the city, residential properties in the locality are in great demand. With the introduction of RERA and other real estate regulations, it is expected that the investors and buyers will enjoy the benefits. Also, as the city is growing in terms of infrastructure, it is expected that buyers will get good returns on investment. Allahabad is one of the largest and most populous cities in Uttar Pradesh. It is a planned city with well-connected roads and railways. A large chunk of the economy of Allahabad comes from its real estate market, which is a growing one. The infrastructure of the city has mushroomed over the years and this has led to a huge influx of top developers looking to start new projects in the city. Also, Allahabad has been declared as a Smart City, which will further improve the real estate market in the future. Where is Citizen Neo Heights located? Civil Lines, a prime residential locality for house seekers in Allahabad. What is available flat size in Citizen Neo Heights? Flat sizes in the project range from 505.0 sqft to 1275.0 sqft. 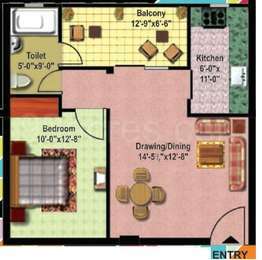 What is the area of 1 bhk in Citizen Neo Heights? 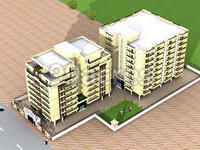 1 BHK units in the project are available in a size of 505.0 sqft. What is the 2 bedroom size in Citizen Neo Heights? 2 BHK units in the project are available in a size of 850.0 sqft to 1140.0 sqft. What is total area of 3 bhk in Citizen Neo Heights? 3 BHK units in the project are available in a size of 1275.0 sqft. What is the area of Citizen Neo Heights?The total area that the project occupies is 1.03 Acres.